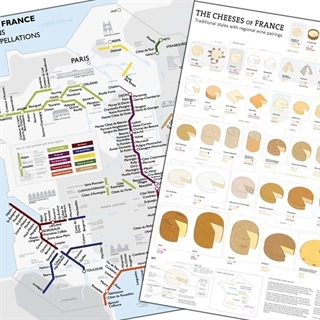 Each map measures at 18" x 24" (457mm x 610mm) and are suitable for framing. 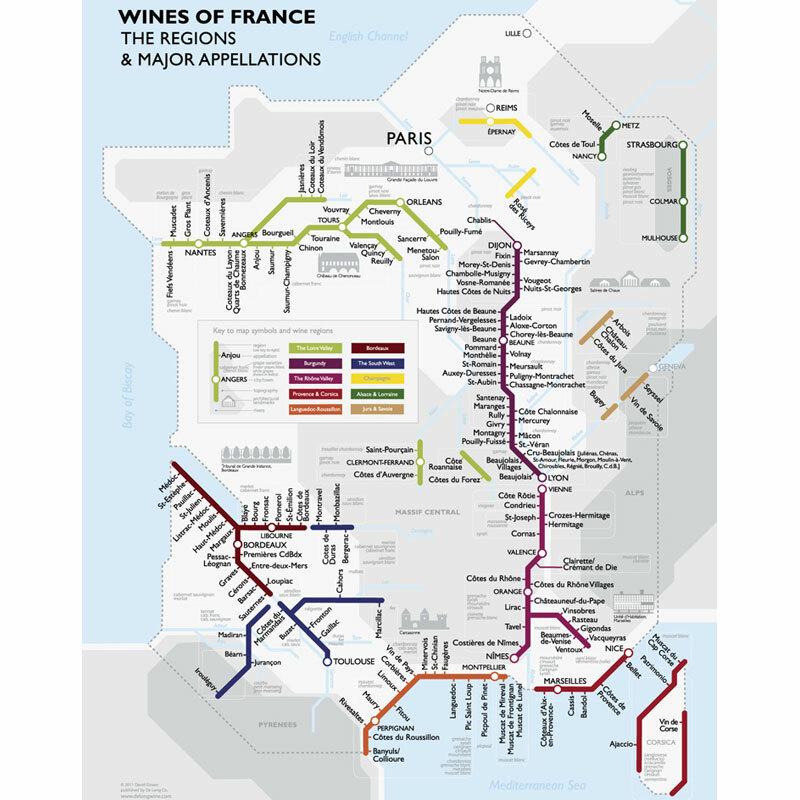 A fun and informative way to look at the wine regions of France in a metro style. 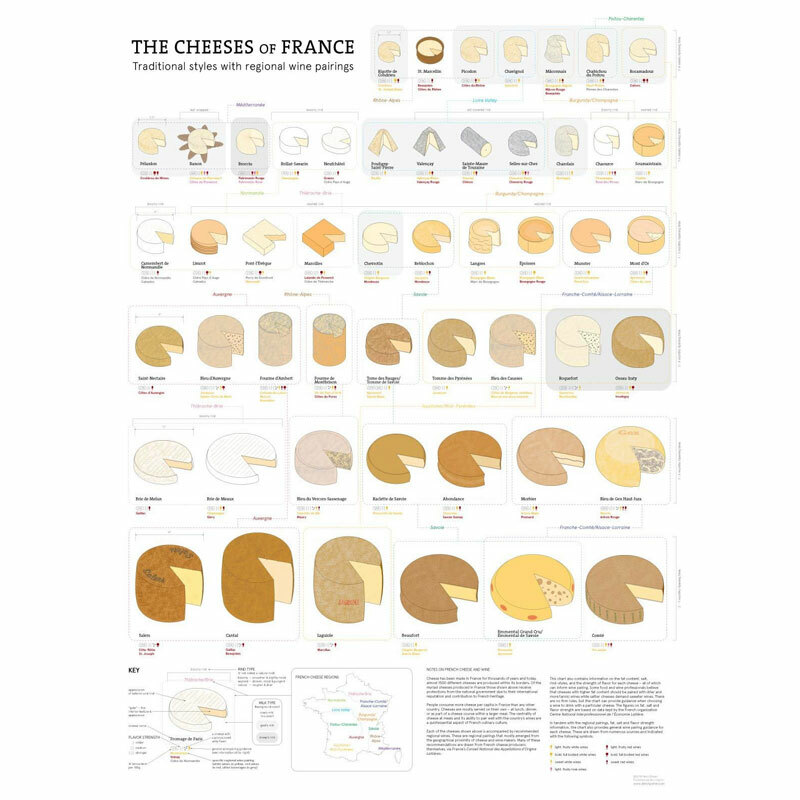 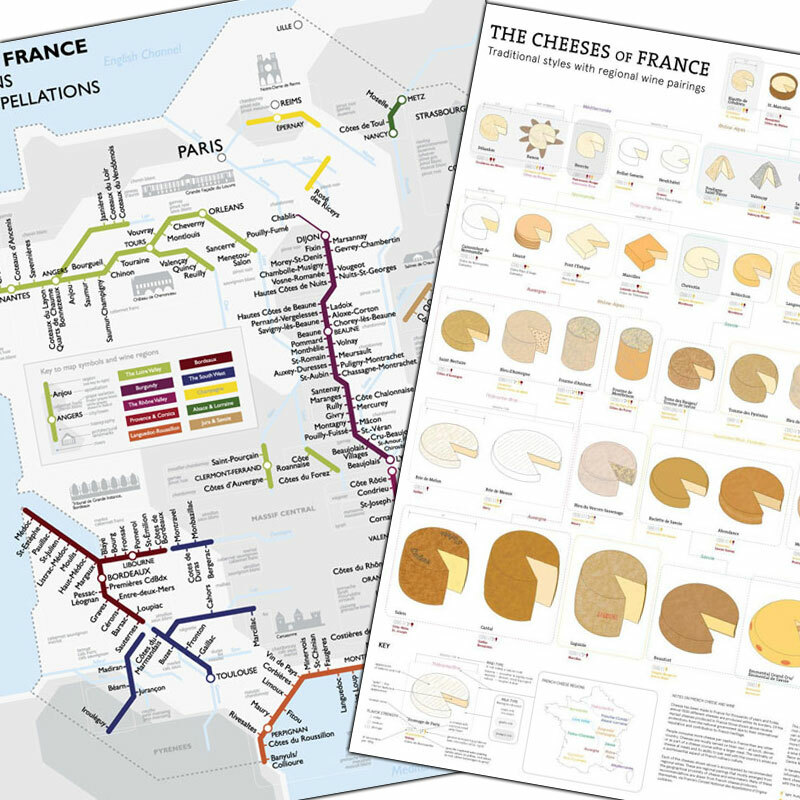 All of France's officially protected cheeses are expertly rendered by Dr. David Gissen, organised each by size, type and region is a stunning and imaginative new way to look at cheese.